No more fooling around on All Fools’ Day. Start tracking April 1 milestones for cleaner emissions. After Delhi did this on April 1, 2018, the National Capital Region (NCR) takes the wise step to phase in cleanest transport fuels of petrol and diesel today to make way for vehicles meeting Bharat Stage VI (BS-VI) emissions standards in April 1, 2020. As stated in the Supreme Court order dated May 1, 2018, (based on the affidavit from the Union Ministry of Petroleum and Natural Gas and Union Ministry of Environment, Forest & Climate Change), 17 out of 23 districts of NCR and three districts adjoining it, namely Karauli and Dholpur in Rajasthan and Agra in Uttar Pradesh, will sell BS-VI fuel by April 1, 2019. In the remaining districts of Haryana — Bhiwani, Rohtak, Sonepat, Panipat, Jind and Karnal — this fuel will be introduced in October 2019. India is the only major vehicle-producing country in the world to skip Stage V emissions standards and go directly from BS-IV to BS-VI to cut new vehicle emissions by 80-90 per cent. Today, all fuel retail outlets in the targeted districts of NCR will get petrol and diesel with sulphur content as low as 10 Parts Per Million (ppm) or BS-VI fuels — five times less than the BS-IV fuels with 50 ppm sulphur, the current fuel quality in the country. While the best emission results are possible when both vehicles and fuels move to new standards together, benefits of changing over to only clean fuels are also several. What are these? Our on-road vehicles will spew less particles: All our vehicles will spew less particles when their tanks are topped up with 10 ppm sulphur fuels. Sulphur in fuels contributes towards the formation of particulate. 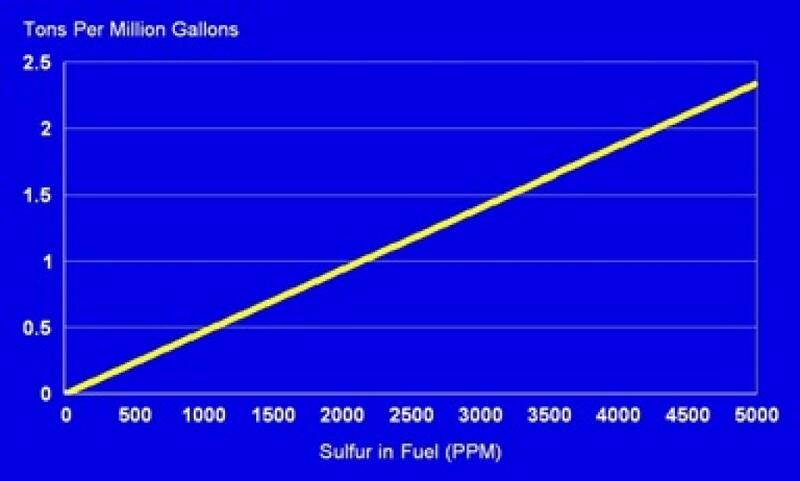 According to the United States Environmental Protection Agency (USEPA), “the contribution of the sulfur content of diesel fuel to particulate emissions is well-established and there is a general linear relationship between fuel sulfur levels and particulate emission” (see Graph 1: Tons of directly emitted particulate matter from diesel fuels sulphur). As the sulphur level increases, particulate matter related to sulphur increases linearly. Thus, conversely, if sulphur level reduces, the related particulate emissions will also reduce from the on-road fleet. Graph 1: Tons of Directly Emitted PM from Diesel Fuels Sulfur Sulphur dioxide emissions—a deadly gas, is also directly proportional to the amount of sulphur in fuel: Fuel sulphur also increases emissions of sulphur dioxide — a harmful ingredient of smog. Moreover, in the oxygen-rich diesel exhaust, several per cent of the sulphur dioxide oxidise to become sulphate particles and contribute to the formation of ultra-fine particles in the exhaust, which are considered especially hazardous because of their ability to penetrate deeply into the lungs. 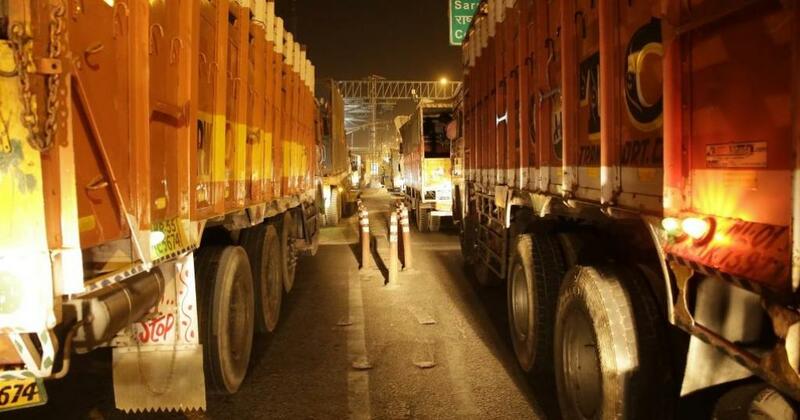 Thus, if sulphur levels are reduced in fuels, the entire on-road fleet will benefit. 10 ppm sulphur fuels allow emissions control systems of on-road diesel cars to perform more efficiently: Older, on-road, duty diesel vehicles that meet standards from BS-II to BS-IV are generally fitted with oxidation catalysts to comply with the standards. With higher sulphur fuel, the conversion of sulpur in the catalyst reduces its (the catalyst’s) effectiveness and leads to catalyst “poisoning” as well as formation of sulphates in the converter which are emitted as additional particles. This problem will reduce substantially and system performance will improve for all on-road vehicles if they run on BS-VI fuel or 10 ppm sulphur fuels. Less engine wear-and-tear that can reduce emissions: Sulphur content is also known to have effects on engine wear and deposits depending largely on operating conditions. High sulphur content becomes a problem in diesel engines operating at low temperatures or intermittently. Under these conditions, there is more moisture condensation, which combines with sulphur compounds to form acids and results in corrosion and excessive engine wear. Generally, the lower the sulphur levels, the less the engines wear out. Thus, all on-road vehicles benefit from ultra-low sulphur fuels. Petrol vehicles will also benefit: Sulphur in petrol reduces the efficiency of catalysts and adversely affects heated exhaust gas oxygen sensors. If sulphur levels are lowered, existing vehicles on road equipped with catalysts will generally have improved emissions. According to the USEPA, laboratory testing of catalysts has demonstrated reductions in efficiency due to higher sulphur levels. Studies have also shown that sulphur adversely affects exhaust gas oxygen sensors and may affect the durability of advanced on-board diagnostic (OBD) systems. There is one estimate available from the USEPA that shows that by reducing sulphur level in gasoline (petrol) from 30 ppm to 10 ppm, overall emissions of NOx from on-road vehicles in 2017 reduced by 8 per cent, carbon monoxide by 8 per cent, and volatile organic compounds by 3 per cent. Opens up opportunity for retro-fitment of advanced emissions control systems: Advanced and sophisticated emissions control systems that are needed to control particulate emissions in BS-VI diesel vehicles can also be retrofitted in the current on road fleet if 10 ppm sulphur fuel is available. These advanced systems are extremely sensitive to sulphur. Available evidence shows that if BS-VI vehicles that are fitted with advanced and highly sensitive emissions control system do not operate with compatible fuel quality (10 ppm sulphur) the efficiency of the system will reduce significantly. Cleaner fuel like 10 ppm sulphur fuels opens up the opportunity to retro-fit advanced emissions control systems in the existing models — especially buses and trucks — along with engine re-powering to reduce emissions from the on-road fleet substantially. But there is no retro-fitment policy in India to certify retro-fitment of existing makes and models of on-road vehicles with advanced emissions control systems. This is essential as retro-fitment is not an off-the-shelf solution. Prospect of early transition: Already, several car companies have announced their readiness to meet BS-VI standards, especially in the petrol segment. If incentivised, the ready models of cars, two-wheelers and three-wheelers can begin to make inroads in this region. Several petrol car models will be able to meet BS-VI standards quickly and at affordable costs. With clean fuels now available across a wider geography, chances of mis-fuelling by high sulphur fuels can be minimised. Why ultra-low sulphur fuels are so important: Fuel sulphur can damage and reduce efficiency of the advanced emissions control systems that will be fitted in the BS-VI compliant vehicles to reduce particles and NOx. Diesel particulate filters in BS-VI vehicles can have over 95 per cent efficiency in controlling particlate matter with 10 ppm sulphur fuel use. But if BS-VI vehicles run on sulphur rich fuels, efficiency can drop significantly. In fact, studies show that emission efficiency can drop to zero with 150 ppm sulphur fuel and particulate emissions can more than double over the baseline with 350 ppm sulphur fuel. The exact impact with 50 ppm sulphur on on-road fleet is not available. The systems can recover their original efficiency to some extent if the use of near-zero sulphur fuels is restored, but recovery takes time due to sulphate storage on the catalyst. Fuel sulphur also hinders durability and reliability of EGR system due to sulphuric acid formation. Acid formation raises system costs, due to the need for premium components and increased maintenance costs. Similarly, effect of sulphur on Selective Catalytic Reduction (SCR) fitted for NO control in diesel vehicles, can be harmful. Sulphur does not reduce conversion efficiency in SCR systems as directly as in other advanced control technologies, but emissions are impacted in different ways. Fuel sulphur will increase the PM emissions from the downstream oxidation catalyst. Sulphur reactions in urea-based SCR systems can also form ammonium bi-sulphate, a severe respiratory irritant. Overall, higher sulphur levels in fuels cause more serious degradation over time. During this transition phase, a policy of price differential in favour of cleaner fuel must be adopted to prevent chances of mis-fuelling. Stay tuned and alert to ensure all April 1 milestones are met to cut exposure and risks from toxic vehicular fumes to protect public health.